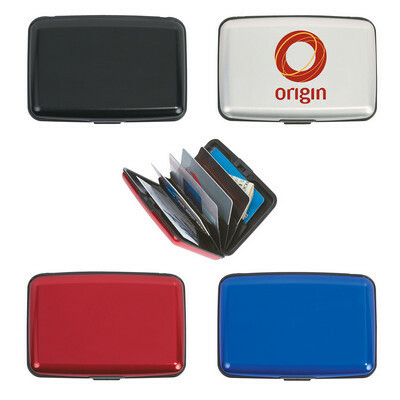 Features: Keep your cards safe with this aluminum card case with push button to open and 6 pockets. Supports RFID blocking. Price includes : 1 COLOUR 1 POSITION PRINT. Setup is included.